Do you want to experience something unique and exciting this weekend? Tandem paragliding is a thrilling experience, involving a flight above the beautiful panoramas of the Scenic Rim and the Gold Coast. 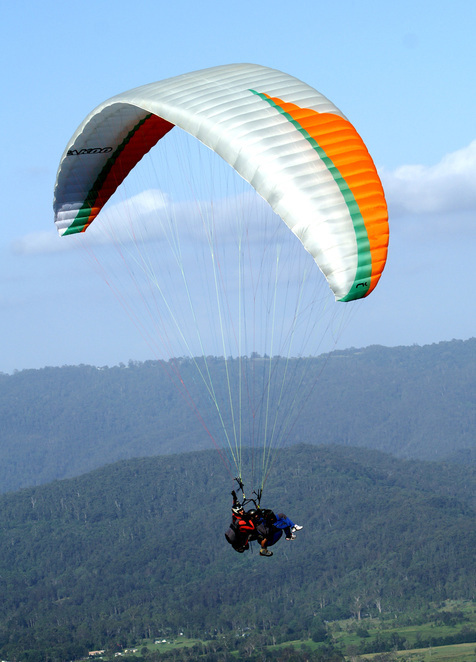 Best of all, tandem paragliding allows you to soar like a bird, providing you a unique vantage point of the mountains, valleys and other scenery of the majestic Gold Coast hinterland. Often mistaken for a parachute, Paragliding is the latest development in the sport of aviation with all the thrill and exhilaration of hang gliding using a back-pack sized aircraft. In fact, the Paraglider is a wing that follows the same principles of aerodynamics as any other aircraft. It is made of soft nylon fabric with no rigid structure. Air flows inside a network of cells to inflate the canopy into the shape of a wing. 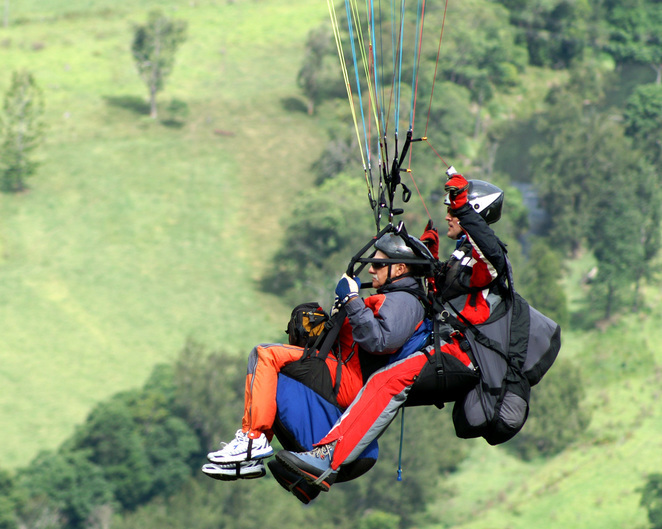 Paragliding Queensland, based in Canungra approximately one hour's drive south of Brisbane, offers tandem paragliding flights under the control of one of their experienced and fully certified HGFA tandem instructors. Operating since 1993, Paragliding Queensland's instructors aim to provide every passenger with a unique flight experience. Flights are planned to last approximately 30 minutes (weather dependent) and can soar as high as the clouds. The views of the Scenic Rim from a tandem paraglider are second to none. Phil Hystek, Chief Flight Instructor and Founder of Paragliding Queensland, believes that tandem paragliding is the ultimate escape for those looking for unique adventures on the weekend. "My team of tandem flight instructors are the most experienced in Queensland, and are ready to give you an adventure to remember," Phil said. "It truly feels like you are flying. You feel the wind on your face, you can hear the sound of the Paraglider as it moves through the air, and you can smell the fresh mountain air. Best of all, you are in the front seat to the best views available in South East Queensland." 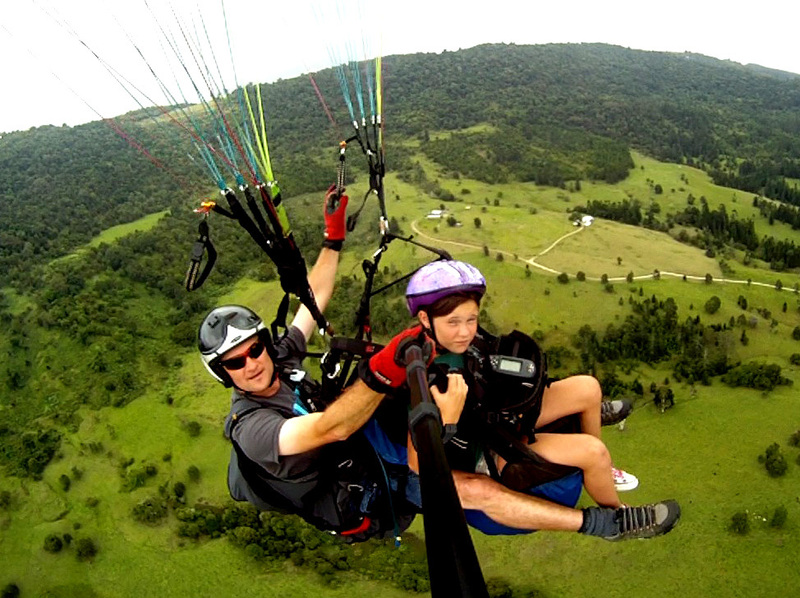 Passengers are free to take photos or video on their flights to record the experience, however Paragliding Queensland can also supply a High Definition video of the flight taken from their onboard camera. These are very popular and a great way to share the flight experience with friends and family. Tandem flight gift certificates make an excellent present for the person who has done everything or having a milestone birthday. "I took my 92 year old grandmother for a tandem on her birthday. It was an unforgettable experience that we shared." Paragliding Queensland Tandem Flights are available most week days and weekends however bookings are essential.